Check here for the latest "Art of the Fox" events. 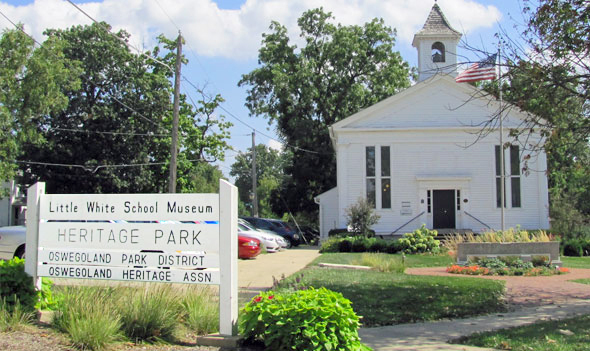 April 13 - May 18, 2019 Little White School Museum: 72 Polk Street, Oswego, IL. 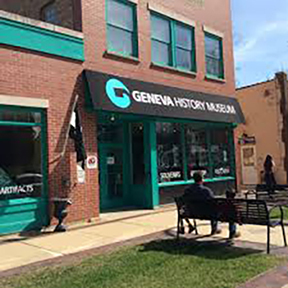 Hours: Mon-Sat 10am-5pm, Sun 12pm-5pm. 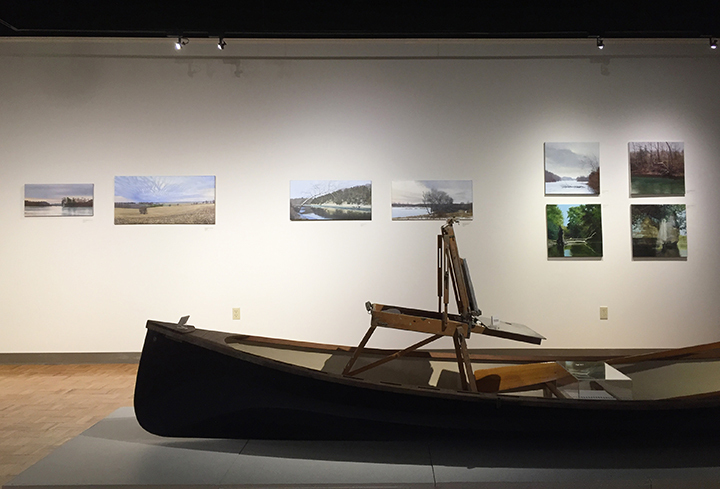 An opening reception will be from 5 to 6:30 p.m. Sept. 20, followed at 6:45 p.m. by a lecture, “The Paradoxical Landscape Frame,” presented by the artist in the Tapper Recital Hall. Reservations are necessary for the lecture and can be made at auartsandideas.com or by calling 630-844-4924. The paintings are the work of plein air artist Joel Sheesley, who partnered with The Conservation Foundation for Art of the Fox as part of its Fox River Initiative, a program to help connect residents with the river and engage them in becoming environmentally conscious through local projects. As artist in residence, Sheesley set up his easel at various points along the river in all kinds of weather at different times of the day to showcase the beauty of the natural areas and human communities along its shores. The project has taken Sheesley along an 80-mile stretch from Dundee to Ottawa. The Fox River headwaters begin near Waukesha, Wisconsin, before entering Illinois at the Chain O’ Lakes in McHenry County and flowing through Kane and Kendall counties before meeting up with the Illinois River near Ottawa in LaSalle County. Sheesley’s travels included canoeing to some locations, hiking trails and off the path with his French easel and paint box across his back, and even camping overnight to capture the light from the sunset and sunrise as it caressed the river’s surface. Following the meandering river, Sheesley found himself in some diverse habitats: wetlands, agricultural, glacially formed lakes, sandstone bluffs and densely populated urban areas. The paintings are available to buy, ranging from $575 for an 11-by-14-inch canvas, up to $2,175 for an 18-by-36-inch canvas. High-quality giclée prints of 16 selections from the exhibit will be available at a reduced cost. 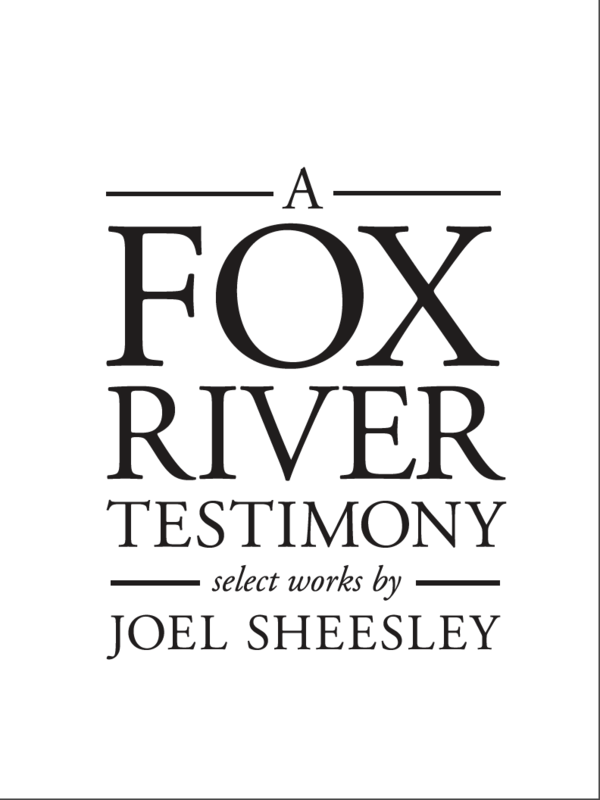 Sheesley, an emeritus professor of art at Wheaton College, chronicled his field experiences along with photos of the paintings in a 160-page coffee table book called “A Fox River Testimony,” which will be available at the exhibit for $49.95. For information on the exhibit, visit aurora.edu/museum or artofthefox.org. The Schingoethe Center is an agent of and catalyst for teaching and learning on the Aurora University campus. The center is at Aurora University, 1315 Prairie St., Aurora. The Conservation Foundation is one of the region’s oldest and largest nonprofit land and watershed conservation organizations with more than 4,000 members. Founded in 1972, TCF has helped preserve more than 35,000 acres of open space, restored and cleaned miles of rivers and streams, and educated thousands of people by engaging them in nature and the outdoors. TCF’s mission is to improve the health of our communities by preserving and restoring natural areas and open space, protecting rivers and watersheds, and promoting stewardship of the environment. Work is focused in DuPage, Kane, Kendall and Will counties to preserve and restore nature in neighborhoods. For information, visit theconservationfoundation.org. A Fox River Testimony - Will be available soon! The book is going to press! 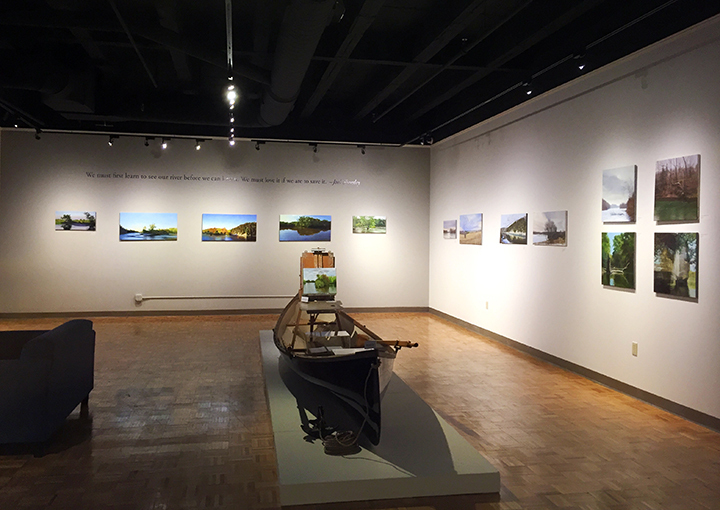 Sheesley's paintings are beautiful and insightful meditations on the Fox River landscape. His essays that accompany each image are even more profound, setting up an inner dialogue that we share with him about the process of looking at and capturing a place in time. This book reminds us of the wonder of our immediate world and carries a gentle admonition to understand our agency and responsibility to our environment. Through Sheesley's close attention to wind and weather, muskrats and mallards, slants of light, patterns of motion, and the contrasts between brokenness and beauty, we are drawn into the life of the river and the Illinois communities that push into its shoreline. His images and evocative words provoke a passion in us for the Fox River itself, and prompt a deeper desire to care for this and other vulnerable---and sometimes overlooked---places. Sheesley stunningly completes the task he has set for himself with this transformative project: "..to make what is visible evoke the invisible." Cindy Crosby "The Tallgrass Prairie: An Introduction" and "Tallgrass Conversations: In Search of the Prairie Spirit." What’s it like to hike with your backpack stuffed with a canvas, brushes and paint on a chilly morning; or on a hot, sweaty afternoon to catch a sunset? 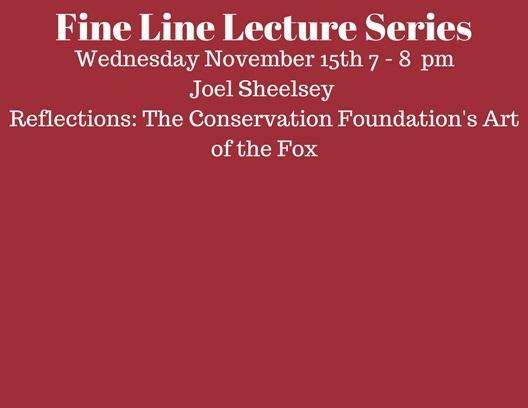 The Conservation Foundation’s artist-in-residence Joel Sheesley will tell about his experiences painting Fox River landscapes during all kinds of weather as he addresses the Kane County Audubon chapter on Wednesday, February 14 at 7 p.m. at Hickory Knolls Discovery Center in St. Charles. Painting “en plein air”, French for outside, is an old technique embraced by many artists including Monet and Gaugin who put themselves in the landscapes they painted to benefit from the ever-changing outdoor lighting to create their masterpieces. Sheesley will share his newly found appreciation of the River’s character and value from his experiences painting along its banks. The program is free and open to everyone. For more information, go to theconservationfoundation.org/lovethefox. Hickory Knolls Discovery Center is at 3795 Campton Hills Dr., St. Charles 60175. With more than 4,000 members, The Conservation Foundation is one of the region’s oldest and largest not-for-profit land and watershed conservation organizations. Since it was founded in 1972, TCF has helped preserve more than 35,000 acres of open space, restored and cleaned miles of rivers and streams, and educated thousands of kids by engaging them in nature and the outdoors. TCF’s mission is to improve the health of our communities by preserving and restoring natural areas and open space, protecting rivers and watersheds, and promoting stewardship of our environment. Work is focused in DuPage, Kane, Kendall and Will Counties to preserve and restore nature in your neighborhood. Find out more at theconservationfoundation.org. Gail Borden Public Library 270 N. Grove Ave.
Wheaton College: This event included a month-long exhibition of 12 Fox River paintings and a lecture on Oct. 2 titled "Heaven and Earth: Reading Gilead through the Landscape of the Fox River." Gilead is a novel by Marilynne Robinson. Gilead is the core book for Wheaton College in 2017-18. Here's a short video about the Fox River/Gilead project.